It's done! 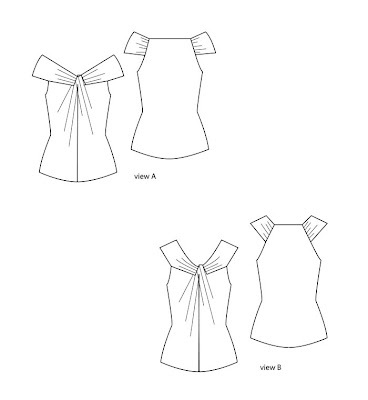 I've just finished uploading the twisty top pattern to Burdastyle. Unfortunately, after the latest revision of the site, member patterns are only 'projects you can make' and no longer appear in the pattern list (now called 'pattern store'), but make no mistake: this is a pattern. I'm very glad I tried grading in Illustrator because it went a hell of a lot faster than by hand. 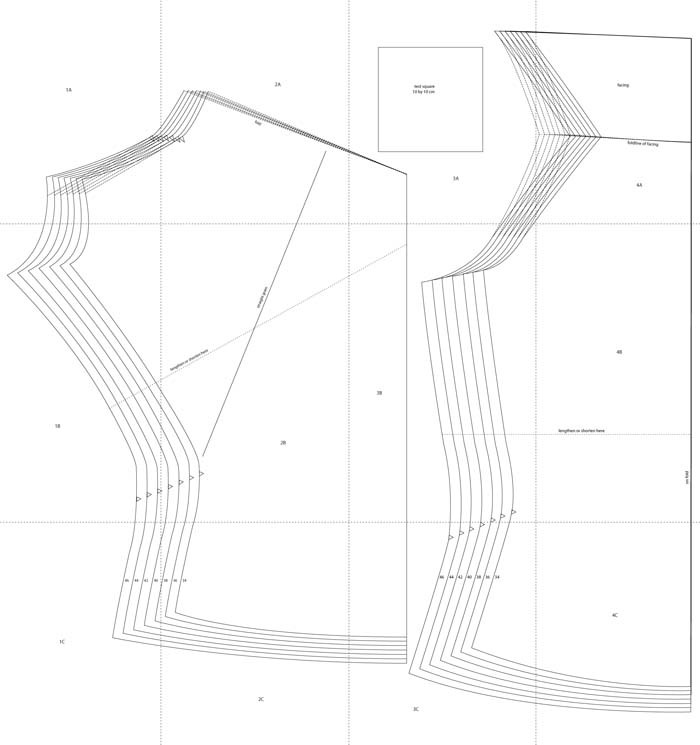 I also think I managed to find a relatively easy yet accurate method for tiling by using Illustrator's print menu. I made the top again in order to make (hopefully) understandable instructions. I actually really like the new version, in which I eliminated some small issues (of course, the pattern is like the second version...). It's in a busy print, not something I would normally go for. In fact, I had to buy this fabric. All the jerseys in my stash were either solid colours or woven design, nothing which would show a clear difference between right and wrong side when photographed. This stuff does and the busy print sort of functions as a texture in this top. I really hope you will enjoy the pattern. Let me know if there's anything I should explain better (but I'll tell you already: that twist is difficult to show) and please: show me your results! The top looks great. I will hit the burda site for the pattern. This is gorgeous. You have done an amazing job. Congratulations on a job well done. Cute! I am downloading as we speak. Yay! Thank you SO much for doing this! I'm excited to make my own and I've got some jersey just waiting to be this cute! I think you are ready to have your own pattern company. I am more than willing to pay for unique downloadable patterns. Yours looks just as good as if not better than Burda's. Perhaps an Etsy shop? Brilliant work. It looks so professional. Thank you for going to all the effort of sharing this. Lauriana, thank you so much for taking all the time and trouble to share this beautiful top with us! Thanks for sharing this pattern with us :)! YAY! Great work. 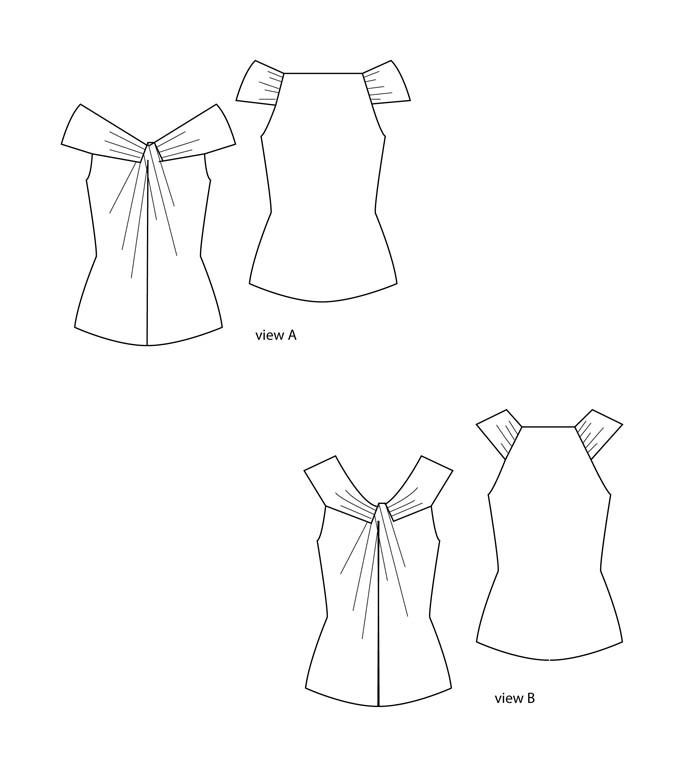 I've already printed it up and cut it out, but I"m going to save sewing for a a time that's not bedtime. Printed! The instructions are very detailed thanks! I also have the right fabric...need to find some time now! Thank you so much for letting me know! I'm glad you like it. I always worried about the instructions I wrote for the knot. It is a bit tricky to do anyway and even harder to explain properly. I'm glad you managed to make it work.